After months and months of anticipation, the announcement is official. Timberlake is bringing back guitar class, and oh man, are we excited. So why all the hype over one more activity option? 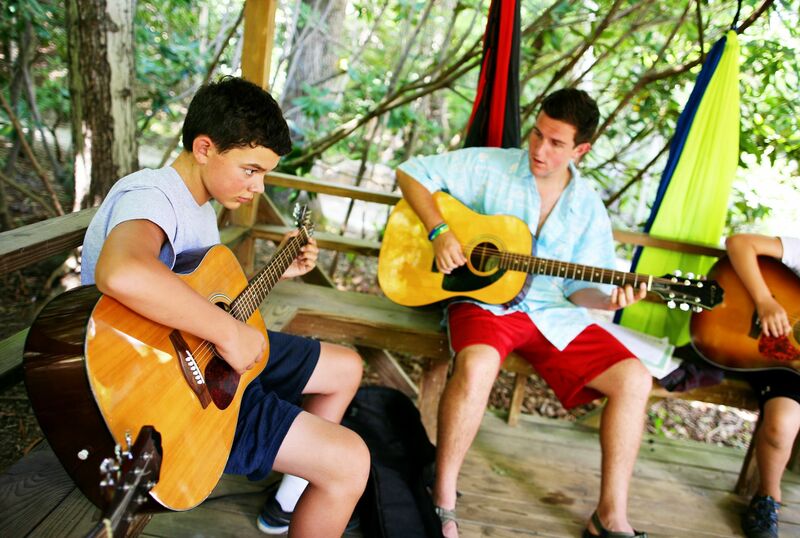 The answer is simple: we believe that teaching guitar brings us closer to achieving our mission of helping our campers grow through friends and adventure. 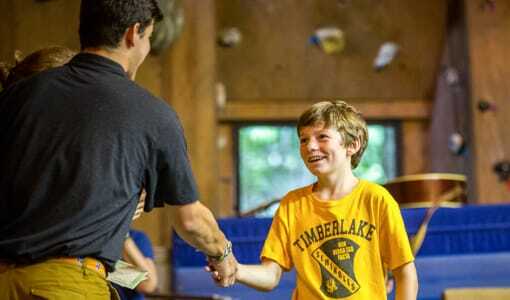 Here at Timberlake, we strive to be a community where every boy who comes to camp is known for their best qualities. 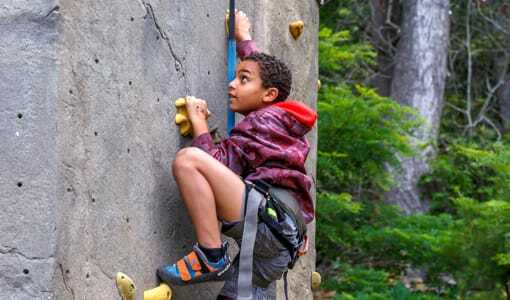 We want to be a place where those qualities are celebrated and where boys feel free and encouraged to try new things: things that might be outside of their comfort zones, or things that they just might fail at. 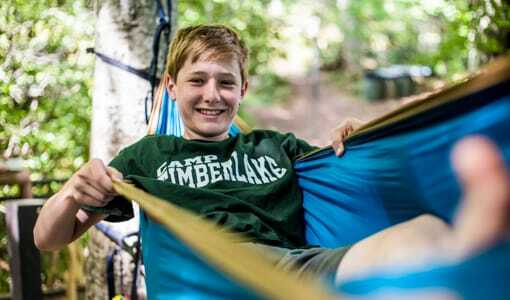 For some of our campers, these opportunities come in the form of combat rolls on their first kayaking trip or spending the night out on the trail on a big backpacking trip. For others it comes in arriving to camp for the first time not knowing anyone, and learning to connect with new people socially in the cabin or at dinner. And for still others it will happen in guitar class, a different kind of challenge, a unique creative outlet. Anyone who has spent time learning an instrument knows that it is hard! 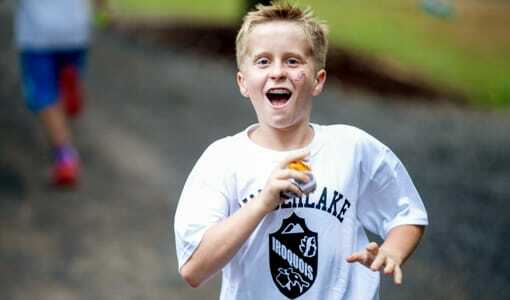 And here at camp we think trying something hard is good. 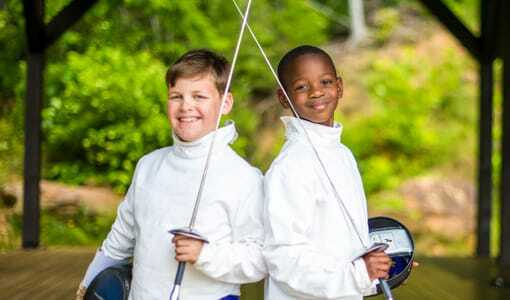 Some of our boys will find that the C, and G chords are harder to master than shooting a bow and arrow or climbing the tower, while others, who might be struggling to get that accurate grouping in riflery, will discover a new passion and talent on guitar. 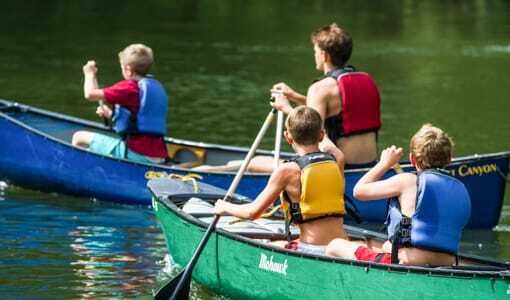 Both of those scenarios will happen this summer, and they are both worth celebrating as our boys learn how to stick with things that are tough, and discover new gifts that they didn’t know they had. So join us this summer. Join us for a summer of discovery and of growth, of trial and error, of great friends and enduring memories. Join us for our best summer yet.